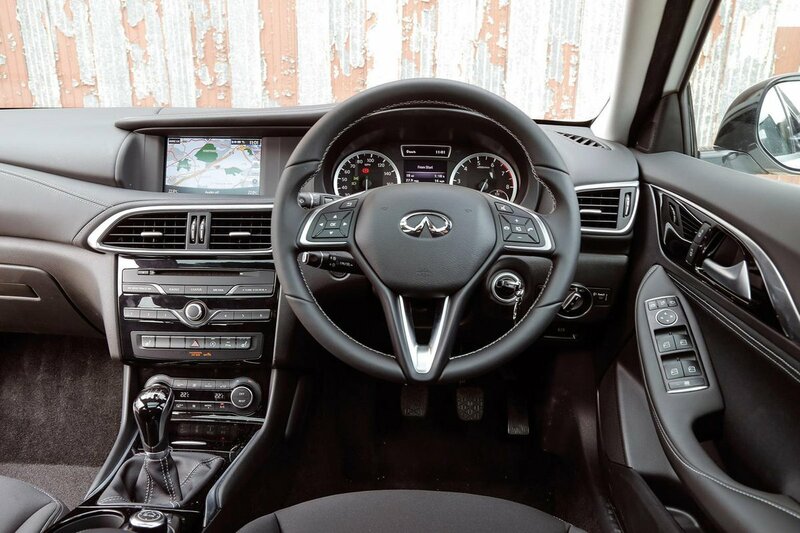 Infiniti Q30 Interior, Sat Nav, Dashboard | What Car? 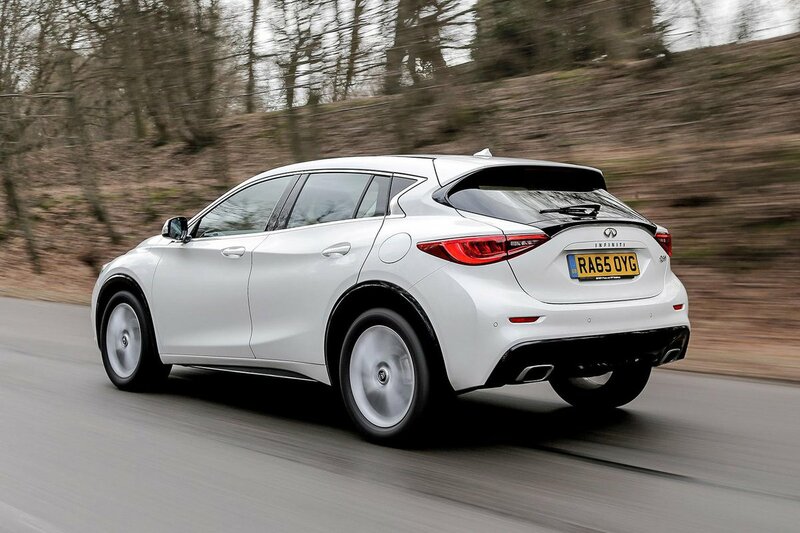 The driver is pretty well catered for behind the wheel of a Q30. There’s plenty of adjustment in the steering wheel and driver’s seat – including electric lumbar support on all but the entry-level SE model. All models get front-seat height adjustment as well, yet even with it set to its lowest setting the driving position remains quite high. There are a couple of other issues: the front seats don’t offer much in the way of side support to hold you in place through bends, and the pedals are offset to the right; this forces you to sit at a funny angle, which can be tiring after long periods behind the wheel. Interior quality is mixed, with the upper part of the dash and door trims looking and feeling impressive with their leather-covered and piano black surfaces. Elsewhere, though, the plastics lower down aren't as convincing, and the Q30's switchgear feels a little cheap next to the class best. The layout isn’t ideal either; the climate control buttons are tucked so low down that, potentially, you’ll need to divert your eyes from the road to operate them. 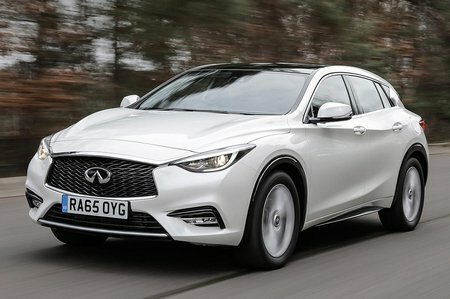 Every Q30 comes with a 7.0in screen for the infotainment system that displays the radio and Bluetooth phone functions, and, if you have it fitted, the optional sat-nav. Unfortunately, purchasing this pricey option is the only way to add a DAB radio, which most rivals fit as standard. The infotainment’s graphics aren’t particularly sharp, while the menus are neither intuitive nor amazingly responsive. Meanwhile, the rotary controller fitted to the centre console that’s used to scroll through them is clumsy to use; all in all it’s a system that feels someway behind the class best, such as BMW’s iDrive.